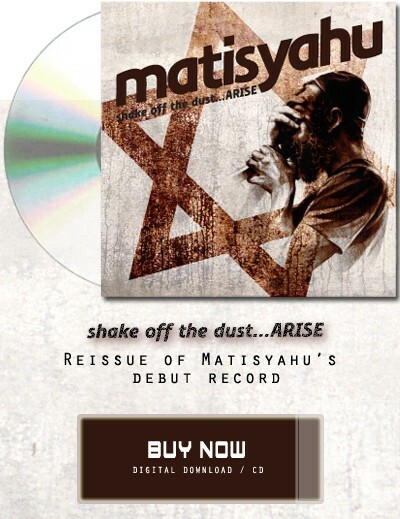 With little noise or fanfare, Matisyahu released his independent debut record, “Shake Off the Dust…Arise” in October 2004. Six years later, the album has been remastered. This hard to find fan-favorite that started it all contains the original arrangements of songs including the hit “King Without A Crown”, “Chop ‘em Down”, “Warrior”, and many others featured on Matisyahu’s first two gold-selling albums.